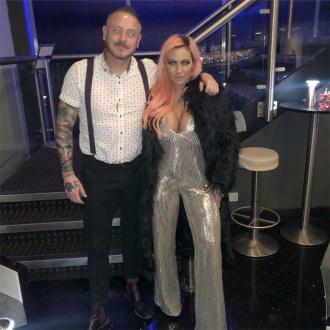 Former glamour model Jodie Marsh has admitted she is a ''shaking mess'' after she has to perform CPR on her 12-year-old bulldog Louis. 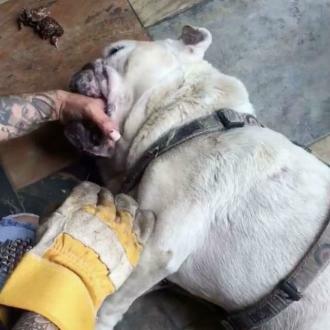 Jodie Marsh was a ''shaking mess'' after performing CPR on her bulldog. The 38-year-old former glamour model shared a video of her reviving her beloved pet Louis on Facebook over the weekend after he collapsed when he got some food stuck in her throat, and though she appeared composed in the clip, she admitted that isn't always the case. After posting the video on Facebook, Jodie replied to some of her followers on Twitter and said: ''It's afterwards I'm a shaking mess!!! Jodie's bulldog is reaching 13 years old, which is old for the breed, and the bodybuilder admitted that Louis ''collapses every couple of months'' but says he is fine after the recent ordeal. She wrote on Twitter: '' He's been playing with the other dogs. He's now waiting for his dinner. Jodie also admitted that the first few times she performed the life-saving act on her dog she was ''hysterical''. 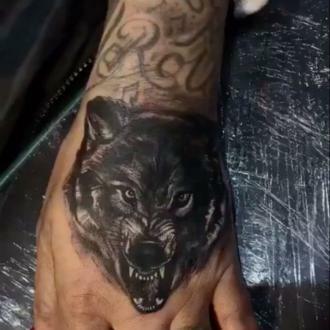 She said: ''You should have seen me the first few times I did it. At the end of her lengthy post on Facebook, she pleaded for the video to be shared to help more dogs. She said: ''Louie is 12, nearly 13 years old which is ancient for a bulldog. He 100% would be dead by now if I didn't do this. Please please share and make other bulldog owners aware. ''A few weeks ago I met a bulldog in a pet shop who had just been walked there with his owners in the middle of the day in the blazing sun.